Scinapse partners with other organisations to bring entertaining and valuable science events to Geraldton and the Mid West. Join in or suggest an event now! 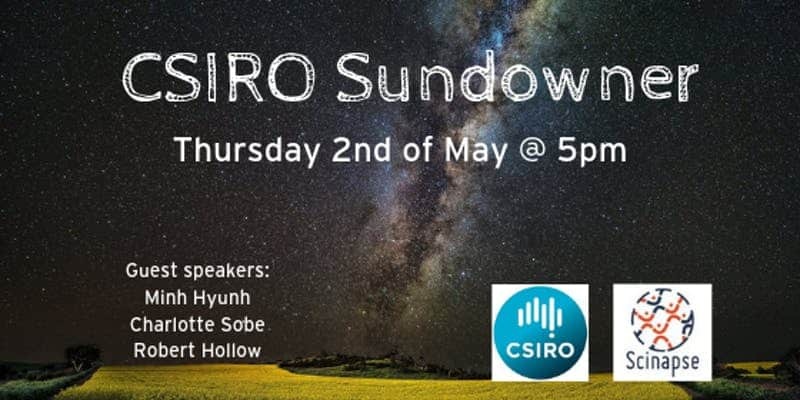 CSIRO is Australia’s national science agency, and for more than 60 years we’ve been a world leader in radio astronomy. Not only did some of our radio astronomers invent Wifi in the 1990’s, our astronomy division is also listening to faint whispers from deep space using our Australian Square Kilometre Array pathfinder in the Murchison- a precursor to what will be the largest radio telescope in the world.